Are you tired of scouring the internet, trying to find the secret recipe for whatever will take stains out of your carpet? And the irritating annual steam cleaning ritual where your whole home is soaking wet for a couple of days? Ugh. If your old carpet has you down, it might be time for a change. In today’s blog post we’ll share five great reasons why you’ll want to make the switch from carpet to hardwood floors. Let’s face it. Unless you have a serious appreciation for all things shag, hardwood floors look much better than carpet. Available in a variety of colors and grains, hardwoods add a natural element to any room. They give off a much warmer appeal than carpet as well, especially when polished. Spill on the floor? No problem. Pet has an accident? Rest easy. Hardwood flooring is far easier to keep clean than any form of carpeting. Your floor won’t absorb liquids and solids won’t leave a mess. Hardwood floors are an excellent investment in your home. Some studies show that up to 75 percent of the cost will be returned when the house is sold, which puts hardwoods high on the list of equity-building renovations. Also, many home buyers are specifically looking for houses with hardwood flooring. So when you do choose to sell, your home may sell that much faster. Finally, if you or any of your family members suffer from allergies, hardwood floors may be the answer. Carpets collect dust, which can lead to the formation of dust mites and other allergens. And while you can vacuum them regularly, only the very best vacuums have enough suction to get deep into the carpet fiber to remove this gunk. 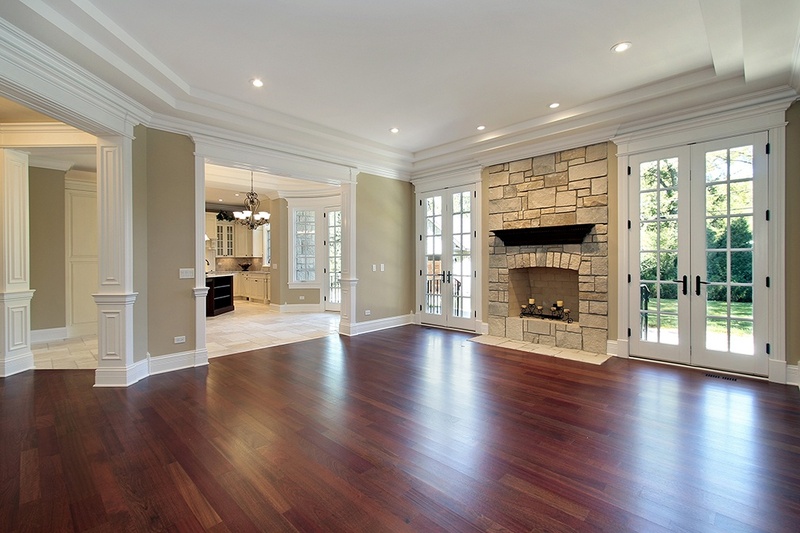 These are just five of the many good reasons to invest in hardwood flooring for your home. If you’re in the market for a great new home, contact your trusted mortgage professional. We will be happy to show you some great local opportunities.